Apply uniformly 30 minutes prior to UV exposure. If wet, towel dry and reapply as needed. 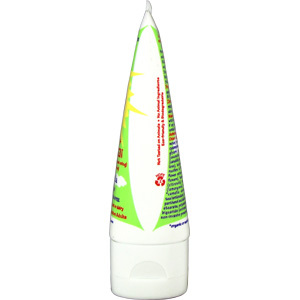 Use on children under six months only with the advice of a physician. 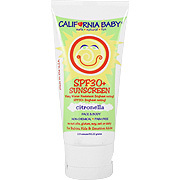 It is ideal to select a sunscreen that blocks enough UV rays to adequately protect your skin type. In the mean time, don’t forget that our bodies need natural sunlight to synthesize adequate amounts of vitamin D in order to keep our bones strong and healthy, as well as support the immune system. Use the Sun Survival Guide below to help determine your skin type and appropriate SPF. Avoid sun exposure during the peak hours between 10:00 a.m. and 3:00 p.m. You can cut down on the overall exposure received by spending intermittent periods of time in the shade. The sun's rays are more intense in tropical and semi-tropical locations because exposure becomes more direct as you get closer to the equator. Intensity is also increased in higher elevations where the atmosphere is thinner. Extra protection for skin and eyes is necessary in both cases. Choose a higher SPF in these geographical locations. The continuing depletion of the ozone layer results in increased exposure to UV rays. Surfaces such as water, sand, snow, and pavement all reflect and intensify exposure. Because of this you can still get burned even when wearing a hat or sitting in the shade. Wear sunscreen even on cloudy or hazy days. UV rays can penetrate these atmospheric conditions and cause sunburn. UVB rays are stronger in the summer. Choose a higher SPF during those months. UVA remains more or less constant throughout the year. Many medications, including certain antibiotics, heart and blood pressure medicines, antihistamines and antidepressants, can cause photosensitive reactions when the user is exposed to sunlight. 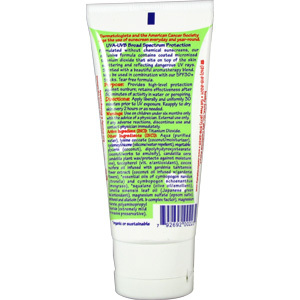 This can result in an unusual "sunburn", or a rash or other allergic-type reaction to the skin. Individual sensitivities vary widely and may not happen to every user, every time. Consult your physician or pharmacist before sun exposure when using ANY medication. Some fragrances can also cause photosensitive reactions wherever they are applied to the skin. Examples of these are bergamot, citron, lavender, sandalwood, and musk. 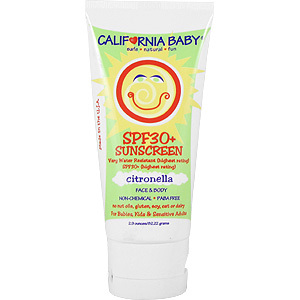 SPF 30 + Citronella Sunscreen is shipped in a discrete, unmarked package. Orders are processed immediately and usually take about 3 to 5 working days to be received. We do ask that you try it for 2 to 3 weeks to feel the full effects. Any information received is used only for order processing and shipping purposes. Your information, such as e-mail address, will never be disclosed to a third party.